Interested in one of our classes, but only available evenings? Then please let us know. If there are three or more people interested in any one class, we will set an evening date and time for your convenience. Beginner Quick and Easy Sewing Project Basket Liners Like to dress up that rectangular basket or even a plastic food box container for a picnic? It?s easy with just beginning sewing skills. Working with Heat Transfer Vinyl and applique we'll create a patriotically themed table topper or wall hanging.? Cost $20 ~ Two varying colors of are used to make a unique vest ~ Deb includes top stitching and collar construction tips and tricks. Wed. May 15 at 10:00 ~ Pattern and supplies needed. Never used the decorative stitches on your machine. Well, then this class is for you! Also, a great way to use up any trims you may have at come. Create stitch recipes, learn o work with decorative threads and some neat notions out to make our lives easier! Cost $115 ~ Phone or tablet holder, in the hoop zippered embroidered bag, lace trimmed shawl-like garment, on the go gym bag Monday, June 3-Wed June 5 OR Monday, August 5-Wed Aug 7. Need to Pack a lunch. Show your team spirit for OSU with this quick sew Banner made from our OSU Digitized Panel. Do you have that large stash of fabric from making all those wonderful OSU quilts? This new OSU quilt is an easy scrappy one that will use some of that stash. Making the steps are easy and fast, add that extra punch with some embroidery, and a mitred border. You have another fun OSU quilt that will make a perfect quilt for you or as a gift. Cost $15 ~ If your goal for this year is to use up some of the fabric in your stash then this is the class for you!! This is a Great Beginner Class!! Cost $20 ~ Software Sampler Inspirations **** Month 4: Heirloom Touches Using tools in BERNINA Embroidery Software, create touches of heirloom embroidery to add to your projects. 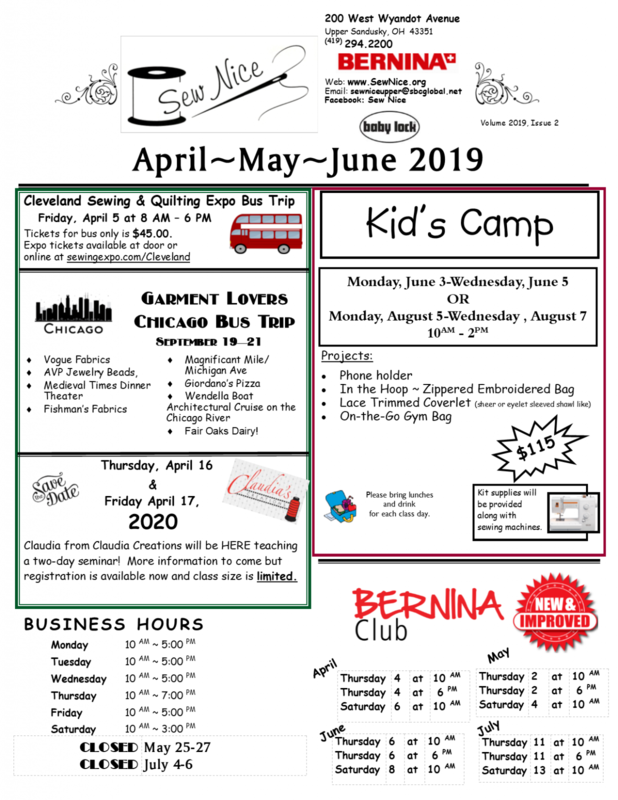 **** Month 5: Creating with the Blend Tool The Blend tool in CorelDRAW SE gives you many creative embroidery options to add to your quilts, clothing, and craft projects. **** Month 6: Lettering Play Explore creative ways to play with fonts. Beginner Quick and Easy Sewing Projects Make a cute sundress for that special little girl. Add a lace trim or use those decorative stitches to add a personal touch. Beginning level sewing skills are all that?s required! 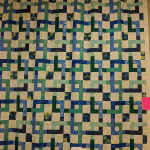 Deb will help you take your treasured t-shirts and memorialize them in a T-Shirt Quilt. Beginner Quick and Easy Sewing Class Need an easy to make comfy dress for this summer? Start with a crew neck or polo shirt and add a skirt! Cost $15 ~ bring a project you need a little help with. Make this wonderful zippered travel carrier for passport, a little cash or a little thing or two. Very cute and see how easy and fun it is to embroider on cork!